You're viewing a category page for Uganda. 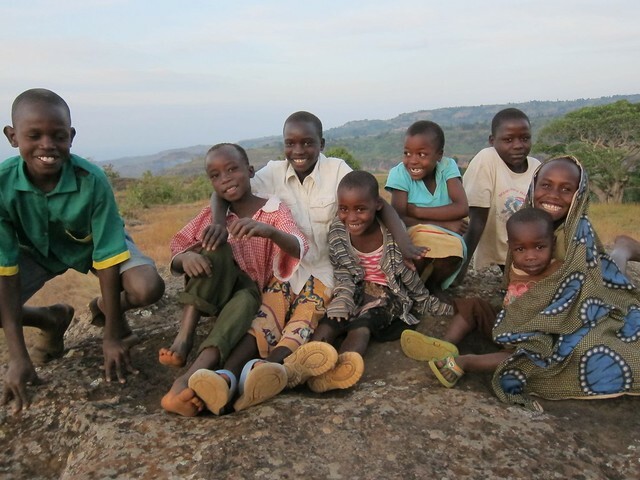 Maybe you'd also be interested in our pictures from Uganda, or our experiences with money or visas in Uganda? Yum: Where the Chapatti At? 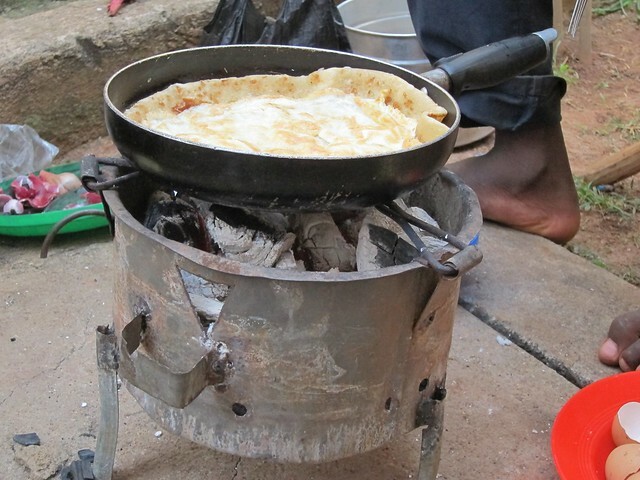 Let's not sugar coat this: generally speaking, Africa is not exactly full of culinary delights. We ate chicken and chips for dinner more times than I care to remember, and for about two weeks our diet consisted almost exclusively of corn, bananas, peanut butter, and crackers-- that's all we could find. So when you find a dish that is available everywhere (and sometimes it's the only thing available) and you actually love it, you get excited. For us, this snack was called a "Rolex". 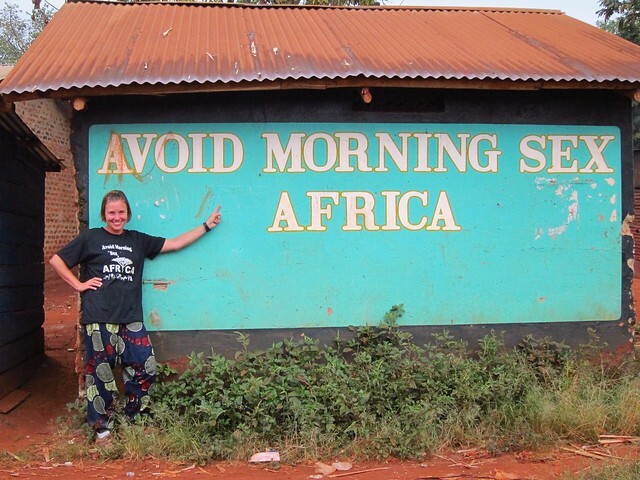 We discovered it as soon as we got to Uganda. It consists of warm, doughey chapattis (an Indian bread that is similar to roti and naan) with an omellete rolled up inside. A Rolex usually costs about $.50 to $1, depending on its size and ingredients (veggies, potatoes, meat, avocado, etc.). The chapattis and omelletes are made fresh, right before you. 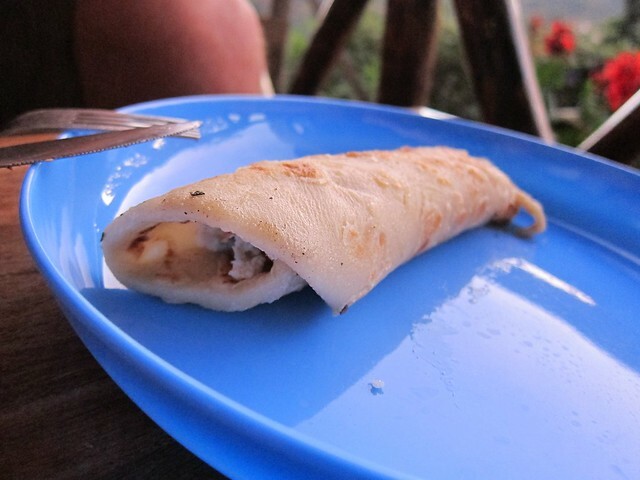 And the best part is that you can find chapattis and Rolexes on roadside stands almost anywhere in Uganda! We could understand why it's called a "Rolex" since it comes rolled up, but when I told a group of Ugandans that a Rolex is an expensive watch brand, they reacted with a resounding "no way!!" One of the main reasons we decided to visit Uganda--besides not feeling totally ready to leave Africa, and some scheduling particulars that made it make more sense--was because we have a connection in Kampala. Lynn, one of my parents' oldest and dearest friends some eight years ago sold the business she owned and started a nonprofit called Connect Africa, headquartered in the Namugongo section of Kampala. This fit in perfectly with our plans for Uganda to see some of the culture and interact with as many local people as possible, skipping the more popular tourist attractions the country has to offer: mountains, game parks, and the silverback gorillas--it would be hard to top Kilimanjaro; the Serengeti, Ngorongoro, and Kruger; and Gombe Stream National Park, respectively. When we got off the bus from Sipi a few blocks from Lynn's house and gave her a call, she was out on an errand, but sent Emma, a young secondary school student (high school-age in US parlance), and assured us that we would be easy to find, as the only mzungus in the neighborhood. Sure enough, the meeting worked out fine, and later we heard that on Lynn's way back many people in the neighborhood let her know that they had seen some other Westerners, and assumed that we must be her visitors. Spending a few days with Lynn, who is very deeply ingrained in a community as far off the tourist track as any we've visited was an interesting and enriching experience for us. We've been to our fair share of places that are relatively untraveled, but in most cases our primary interaction is with the people that work in the rest houses and restaurants in these small towns, and those other people that we meet clearly know that we are only passing through. So it was a nice change of pace to be in a residential setting, and to have a guide who lives in the community; we were more able to see the neighborhood through a local's eyes than we usually are. 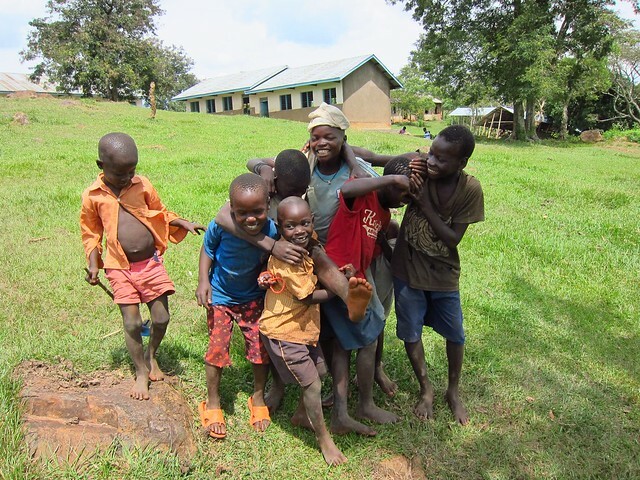 For a few days, we saw the village of Namugongo (really little more than a small rural village that happens to have been subsumed by the sprawl of Kampala) through the daily routines of an NGO. Lynn's house doubles as Connect Africa's headquarters, and in fact Connect Africa owns the other four buildings in the complex and all rent paid by the tenants goes directly back to CA's coffers. 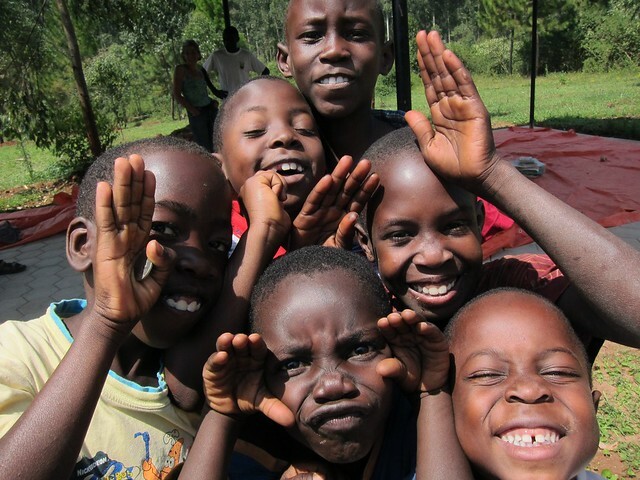 With this money, and funds from donors mostly in the US, Connect Africa helps children to go to school. 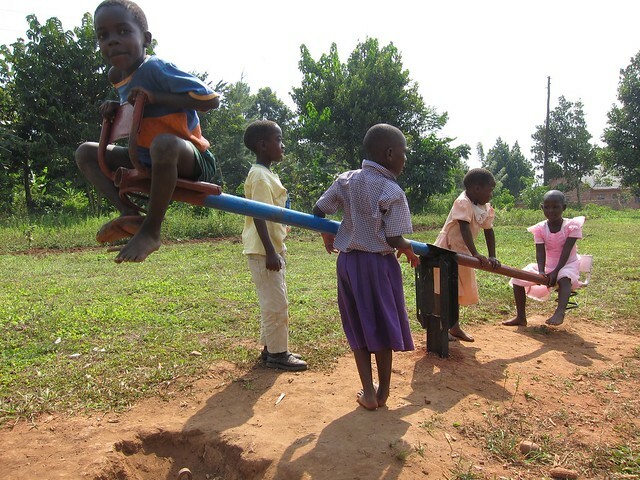 Education in Uganda is a privilege, and not a right as it is in the US; families have to pay "school fees" for each child they want to enroll in school, and these fees escalate as the child progresses, often representing the largest expense in a family's budget. 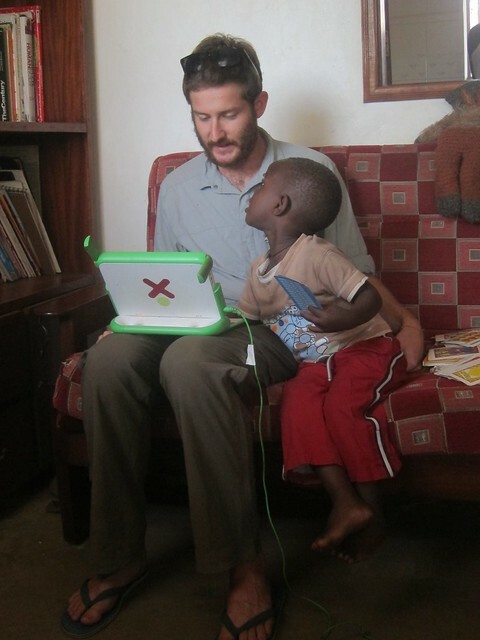 Connect Africa strives to find the best way to help families to make ends meet on a case-by-case basis. For children who have lost one or both parents (an all-too-common occurence in a country with a life expectancy of 53 years), Connect Africa may provide school fees with no responsibility of repayment, but for families with more potential, the aid more often takes the form of a loan-- for chickens, goats, or a cow, for materials to start a craft business, or perhaps for university fees to obtain a certificate in business, management, or the beauty profession-- whatever fits the family's situation best. Meanwhile, Connect Africa, and Lynn's house in particular, serves as an open space for the children to come and go, discuss any issues facing them, read a book, play a game, or work on a computer. Most days, we awoke in the morning to find Lynn holding court in her living room, meeting with board members and current and prospective families receiving loans from Connect Africa, or, one morning, with a group of women who were in business knitting dolls for sale by an American small business. Most afternoons we left the house to pay a visit to a family to have a discussion about the details of their childrens' education. Without exception, everywhere we went, people were thrilled to meet us, proud to invite us into their homes and offer us a bit to eat, unequivocally appreciative and thankful of Lynn and the work she does for them, showering her in an endless barrage of hugs, I-love-yous, and thank-yous. Most of the heads of the households we visited were matriarchs (called jaja, or grandmother) of an extended family often consisting of over a dozen children. These women were some of the hardest-working, most passionate and loving people imaginable, yet also some of the most humble and selfless, working their fingers to the bone and not expecting anything for themselves except for more opportunity for their grandchildren. The visit culminated with a very exciting moment for Connect Africa, the unofficial inauguration of a new community center, the nonprofit's second property. While the building wasn't completed, 25 local kids aged around four to ten, were invited to come explore the grounds, play on the newly-built playground structures, have a bit of porridge for breakfast, and to meet Lynn and Jackson, a Connect Africa graduate who is in charge of overseeing the community center's construction. The day started with introductions, each kid standing up and announcing his or her name and grade level, while the rest sat quietly and attentively (an unimagineable scene with an equivalent number of American kids), then a few children stood up to tell stories or sing songs, porridge was served, and they were set loose to swing, see-saw, play football (soccer), or shade (color). The kids took a little while to warm up to Claudia and me, but by the end they were climbing on us, braiding our hair, and hamming it up for the camera. 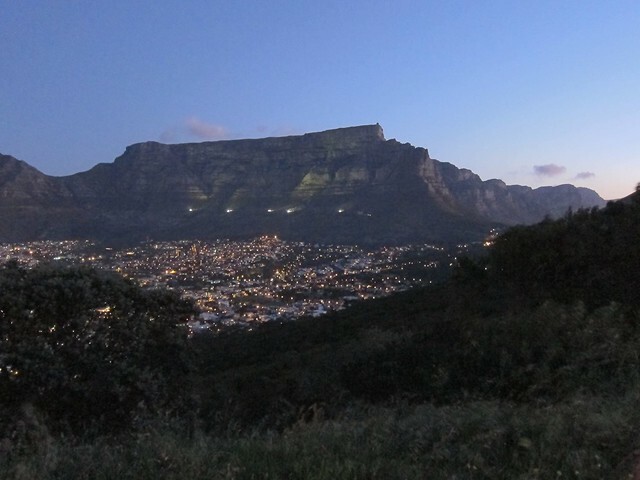 Living with Lynn for a few days, meeting her friends and Connect Africa coworkers, and especially seeing first-hand the tremendous impact she has on the community was an inspiring and humbling experience for us, and a perfect end to the African leg of our journey. 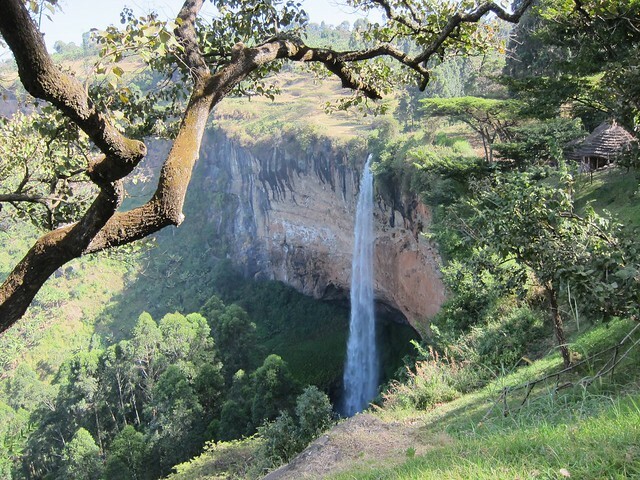 We had a few days to kill before heading to visit our friend near Kampala, and we had zero desire to spend a lot of time going too far, nor did we feel like going anywhere that required too much planning, so we headed east to Sipi Falls. We had read that this set of waterfalls was beautiful and that there was some decent rock climbing and hiking in the area, so we decided to head there for a few nights. The next day we walked to all three of the falls (a total loop of abut 8 km) with a local guide, who took us to a friend's house toward the end of the hike to sample the local home-brewed beer. 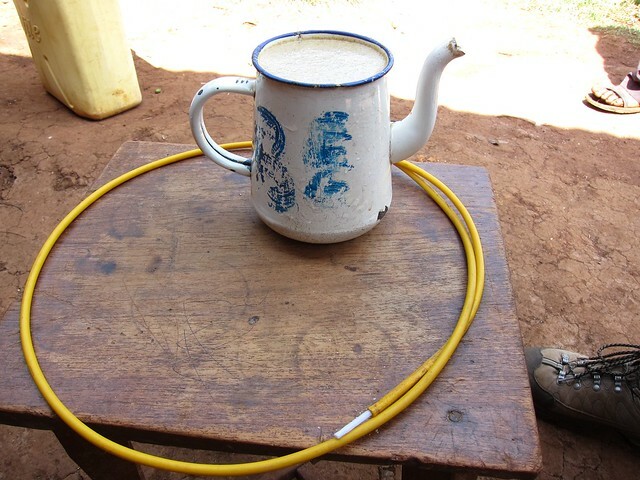 The beer is made from maize flour, yeast, and water, and takes about a week to ferment, leaving a thick porridge-like substance, which is then served by mixing it in a teapot with boiling water, and then drunk through a long, thin straw shared among the group. The fermented mixture and boiling water keep being added to the teapot, making for what seems like a bottomless cup of brew. The beer was thick, and tasted very strongly of yeast, but was more palatable than the similar beer we tried in South Africa. Perhaps the most enjoyable part of this experience was the company--we talked politics, education, culture, and challenges each of our countries faces with our guide and one of his friends while sipping the brew. We love having these kind of conversations with people we meet on our trip; it's the best way to learn their perspectives. On our last night, we took a short walk over the hill behind the Crow's Nest to try to find a suitable place to watch the sunset. The road ended in a clearing with several small paths branching off, and before we knew it, a group of small children formed around us and showed us the way through their village to a hill above the flat plains to the west. Unfortunately it was a bit cloudy, so we couldn't see too far, but watching the kids play, laughing with them and teaching them to whistle over cupped hands, and having them show off their counting skills in English, was all infinitely more rewarding than any sunset. 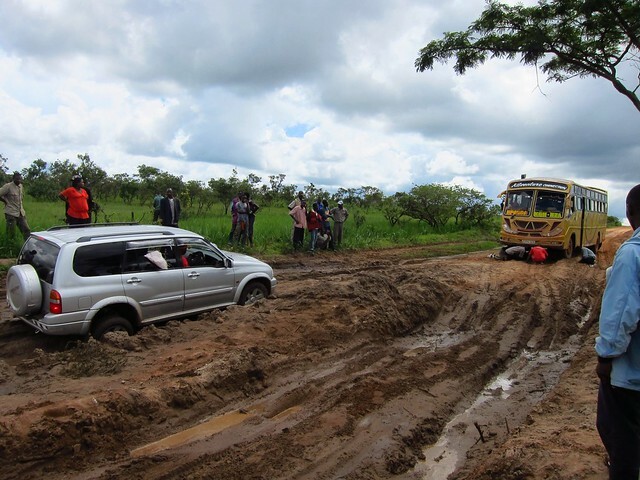 We were ready for a somewhat different experience during our time in Uganda, our last stop in Africa. 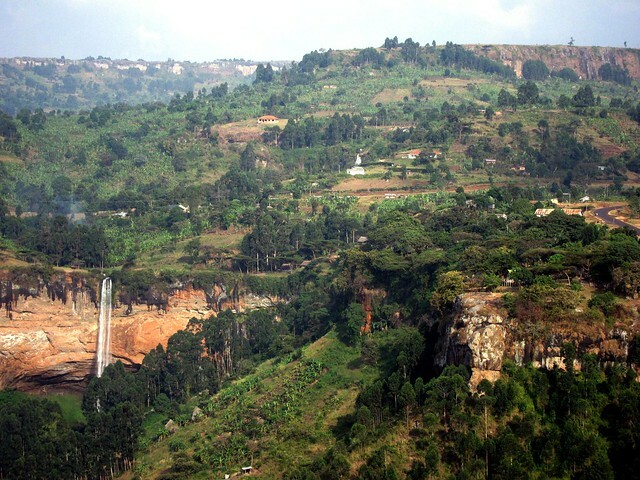 Uganda, also known as "the pearl of Africa", is a country roughly the same size as the state of Oregon, but with a rapidly-growing population of 33+ million people (for comparison, Oregon's population is 4 million). The days of Idi Amin's oppressive dictatorship are long gone, and while the country still has its fare share of challenges, we had heard--and would soon learn--that the people are some of the friendliest in Africa. 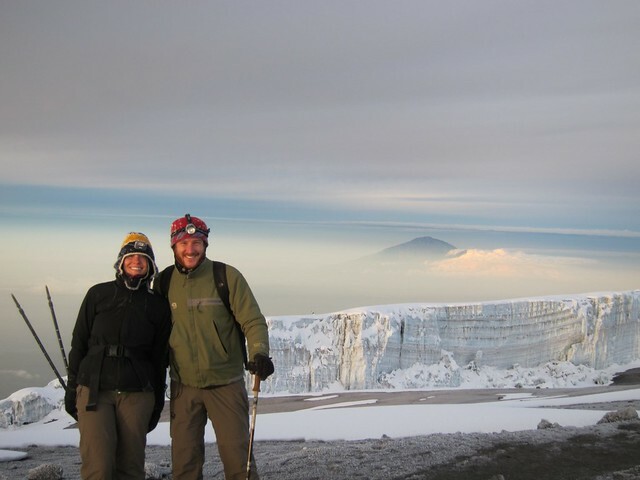 We spent our first three months on the continent enjoying parks, exploring cities, relaxing at lakes and beaches, seeking wildlife, and climbing a mountain. 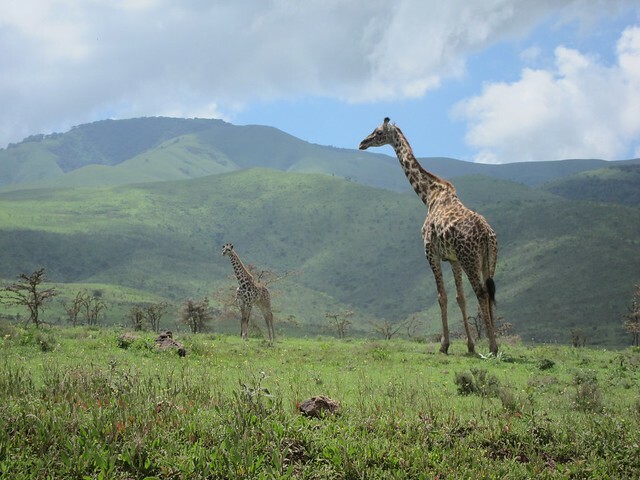 While Uganda packs a ton of parks, wildlife (most notably gorillas and a wide array of birds), adrenaline activities, mountains and lakes in a small area, we were feeling spoiled and slightly culturally-deprived, and wanted our time there to be a bit more people-, instead of activity-oriented. So, we contacted a few NGOs who take volunteers and don't ask for a ridiculous amount of money (a factor that, unfortunately, has prevented us from volunteering more than we have), and decided to donate our time to Soft Power Education, an organization based in Bujagali Falls. 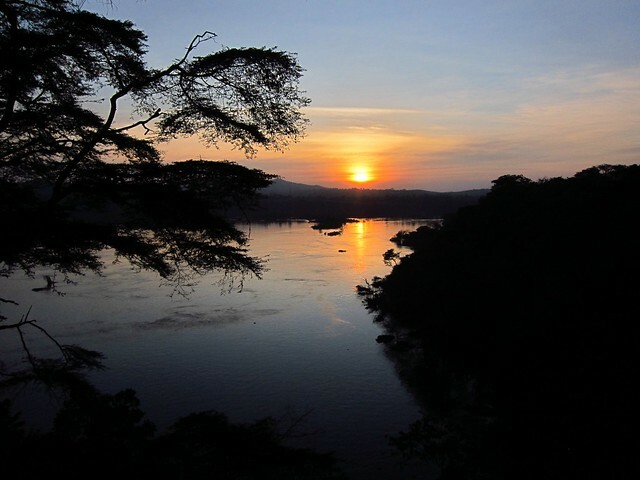 Bujagali is located a few kilometers from Jinja, which is where the world's longest river, the Nile, begins as it spills out of large Lake Victoria. 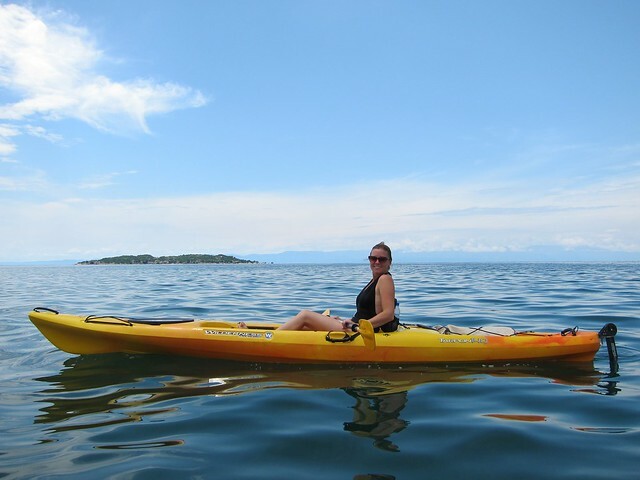 The area is most well-known for its fantastic rafting and kayaking, which has only been slightly damaged by the recent and long-awaited completion of the Bujagali Dam. Soft Power was started by a retired overland truck driver who had been to the area many times and started fixing up local schools. 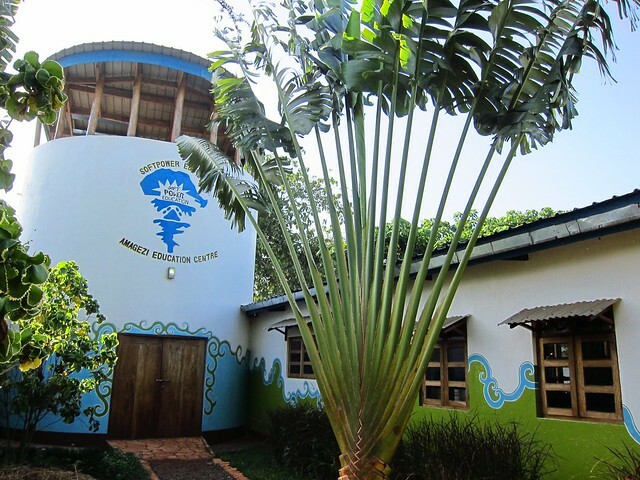 Over the last dozen or so years, they have grown and added a community center, special education program, two pre-schools for the very needy, and a health clinic to their list of projects. Their permanent staff are a mixture of British and Ugandan employees, and they are an incredibly warm and friendly bunch. I spent my time painting and fixing up local schools (which were still on break while we were there) and helping staff with pre-school registration. Nick spent his time sprucing up their website, improving its social media credentials, teaching some employees how to use MS Excel, and painting the schools. 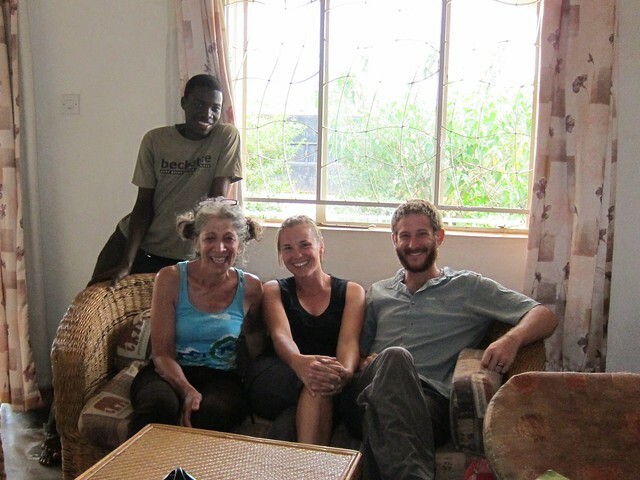 While Bujagali is a backpackers' magnet, volunteering got us out of the campsite and into the village and surrounding towns, so we got to interact with many Ugandans. We found the people of Bujagali to be really friendly, and as soon as they knew we were volunteers, they were even more welcoming. Pre-school registration involved interviewing the parents in order to determine which families are the most needy, since only the most disadvantaged children are given one of the thirty (free) spots at each school. I acted as the note-taker, filling out the questionnaire while the Soft Power employees acted as translators and main communicators with the parents, many of whom don't speak much English. Not surprisingly, some of the families' stories were heart-breaking: orphaned children, HIV+ parents and kids, unemployment, not enough food to feed all the children, lack of basic shelter and sanitary facilities... the list goes on. I was baffled at how one could possibly distinguish the needy from the really needy: in my eyes, all these kids were absolutely deserving of all the free education and care we could provide them. However, my job was to ensure some consistency and integrity in the recorded information, since many of the parents know the Soft Power employees--perhaps they are neighbors, friends, or acquaintances--so the organization can use someone who can help to ensure that parents aren't able to exploit those connections. It also provides somewhat of a scapegoat for Soft Power: they can blame the mzungus for any final decisions, which was perfectly fine with me! After our time volunteering, we treated ourselves to a really fun and exhilarating day of Class V white-water rafting down the Nile River, complete with adrenaline-producing flips, lazy floating, and incredibly tiring but fun river-boarding (think boogie boarding but over and through huge whitewater rapids). The cool thing about this stretch of the Nile is that it offers almost completely fool-proof Class V rapids: the huge volume and high water level means that there are virtually no dangerous rocks or walls in the way, just huge waves that you can flip over, surf on, and get tossed around in. The experience made us want to raft again very soon, and perhaps even learn to white-water kayak--those rolls look way too fun in a tiny white-water kayak! We'll leave you with this final message. We asked around the village as to the meaning, and the best (and possibly funniest) explanation we got was that "sometimes Africans have trouble getting to work on time, but we want our country to be more productive." For once, I bought the tee-shirt.